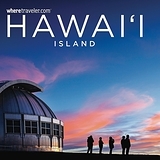 Familiarly known as the Big Island, the Island of Hawai‘i is the youngest in the Hawaiian chain and is also by far the largest, providing a stunning contrast of environments and a variety of unrivaled natural wonders. 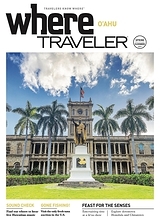 The Big Island has also played an integral role in Hawaiian history and holds a rich storied past. Captain Cook’s arrival at Kealakekua Bay in 1778 ended Hawaiians’ isolation from the Western hemisphere. His visit would open the floodgate for other Europeans as well as Americans to what he referred to at the time as the “Sandwich Islands,” named after his friend John Montague, the Earl of Sandwich. Rich in Native Hawaiian culture, Hawai‘i Island is home to the Merrie Monarch Festival, which takes place every year in Hilo. The festival was designed to replicate what King Kalakaua did for hula during his reign. Beginning with his coronation, the king celebrated and encouraged public performances of hula, after it had been banned by Queen Ka‘ahumanu in 1830 and discouraged in the decades following her death. An “Old Hawai‘i” feeling gives charm to some of its rural communities, where the paniolo (cowboy) culture still thrives on the slopes of the upcountry ranchlands of Waimea and North Kohala. Spewing hot molten lava into the ocean, Kilauea Volcano continues to erupt at its summit and from its East Rift Zone. Today, Hawai‘i Volcanoes National Park is one of the few places in the world where visitors can come face-to-face with an active volcano. It’s also the only place where Kona red beans (called cherries) are grown, in an area described as the Kona Coffee Belt, where farmers offer tours of their facilities—and a hot cup of coffee, of course. Located north of Hilo, Pana‘ewa Rainforest Zoo and Gardens is the only zoo in the country that’s set in a tropical rainforest. And while lava rock carvings are found throughout the state, the largest concentrations are located at Puako Petroglyph Archaeological Preserve, north of the Mauna Lani Resort on the Kohala Coast. 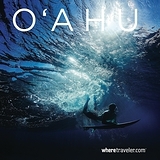 In addition to its many beaches, Hawai‘i Island offers a lot to explore. Perched at the summit of Mauna Kea, Mauna Kea Observatories is one of the most important land-based astronomy sites in the world. It’s also where skiers schuss down the slopes during winter. 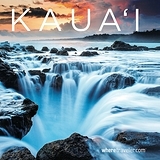 At sea level, Kailua-Kona is the “sunnier” side of the island and the site of many tony resorts. Be sure to walk along Ali‘i Drive, which is the main thoroughfare that leads to such sites as Moku‘aikaua Church, built entirely of lava and coral; and Ahu‘ena Heiau, a temple built by King Kamehameha I. In Ka‘u, small communities of Na‘alehu and Pahala serve as gentle reminders that civilization does indeed exist in this otherwise vast, rural and remote southernmost region of Hawai‘i Island. And when in Hilo, bring an umbrella (it rains nearly every day) and check out the famous Farmers Market.